To my thanks, I have been receiving emails occasionally from various readers in Japan and from overseas. In the present page, and also in the Japanese page , I am going to post some of those communications under the permissions of the respondants. Most of them are on the topics related to the papers/articles posted in the Web site. I wish to make this Web site active, user-friendly, and useful for many new and frequent readers by the support of you, authors, communicators, and readers. Dear Professor Nakagawa, I am glad to receive your email, as I was planning to email you myself over this weekend. Your last update on the THPJ was on June 22, and so I thought that you were probably on a summer holiday trip. It has become a recurring theme with me but I need to prepare and submit something for consideration for inclusion in the THPJ, and despite several attempts have not been able to do so. One possible reason is my feeling that apart from the development of new tools and techniques for TRIZ and applied innovation, consideration must be given to the early formation of the innovation mindset. Our formal education is essentially and necessarily sequential, with well defined modules of knowledge ( information ) presented to the student to absorb. This is perfectly reasonable, however it does create an inadvertent dependency in all or most of us for a structured methodology for problem solving. Edward de Bono terms this vertical thinking and so presents a rationale for Lateral, or side to side, thinking where the solution does not necessarily follow in a step by step up down manner. I feel Dr. de Bono made a strong impression when he first came out with his approach in the 1960s and 70s, but now I feel he has concentrated more on the commercial exploitation of his now well established ideas. He has not come forward with a more recent avatar of his thinking. My personal thinking is that there is a need for vertical as well as lateral, but also another style of thinking which I find difficult to describe. Let me call it Type III. In Type III, the first task is to adopt a more aggressive approach to condition and pre-process the information being presented to us as not only is information overly abundant, it is also overly contaminated. This contamination of information is one of the biggest problems we have, because by mindlessly processing this, even in the most efficient and structured problem solving methodology, it is difficult to end up with good results. I just wrote these few line in an early lunch break just to say hello. I have not yet read Mr. Takahara's latest article and the other article, which I will do so with much interest. Your personal photographs are a treat as in what I humbly understand to be Japanese philosophy, "simplicity speaks volumes". 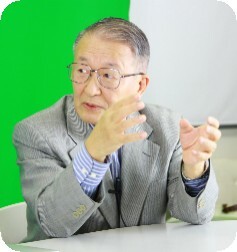 Dear professor Toru Nakagava, Thank you very much for info about your resource in internet. I was frequent visitors in your website long time. Let me share with content of my several articles from 2012- 13. You can found list of articles in APPENIX from this letter. (2) Diagnostics and Training of the Inventive Thinking Level based on the Reference Book on Disadvantages. (Disadvantage Oriented Search). (3) Computer program for complex diagnostic of level of creative thinking and increasing IQ "brainbuilding"
(7) Example in real project "powder coloration"
But I am not sure that I agree with the basic premise, that TRIZ has been adopted slowly because people want more rigor in the algorithm, or better teaching, etc. Dr. Genichi Taguchi died about a year ago, and was widely celebrated in both Japan and the US statistics communities, so there is a lot to read about him and about the method, but I'm not sure how much about the way the method spread. 1TOCfE has trained over 250,000 education stakeholders in over 20 countries on 6 continents with an impact on over 8 million children….and all with whom they interact in their homes, classrooms and communities. I cannot offer any help with how to get the education system interested in creative problem solving, because it is highly political in most countries. This is also why I admire what the Goldratt group has done, since they have gotten acceptance at the level of ministries of education in some countries, and departments of education in some US states. I have had complete, total failure in personal efforts to get TRIZ into our schools—inviting people from education to free seminars, giving them books, etc., have all failed, I think because the efforts came from people who were outside the education system. I will be glad to hear about your work, and to give comments whenever they can be helpful, but I am not able to volunteer for any direct work. I will be very interested to hear about the reaction that you get from the Japan Creativity Society, and I will be in Paris and will be interested in the ETRIA reaction. Good day Prof., I hope you still remember me from MyTRIZ conference in Penang, Malaysia last year. Currently I am doing PhD and my subject of research is about TRIZ in aerospace industries. I would like to know if there is any books on USIT or Japanese USIT that I can refer to. If you know any website links that it can help me buy those books, please guide me. Thank you for your message. Yes, I remember you, especially because of your Japanese name Manami. We have not published any book yet on USIT. Instead, all the USIT references have been posted publicly in my Web site "TRIZ Home Page in Japan". General Index, site search, and hyperlinks will help you find various articles on USIT in my home page. I was attempting to read the presentation on the FUKUSHIMA Report: I was able to translate the page from Japanese Kanji into English, because I have a built in translator into my Google Chrome browser. While that wasn't a problem for me, it may present an issue to others who wish to read this very important analysis and work that the author and yourself have put up. I would respectfully suggest putting up this presentation in an English version. If that is done, then I will happily and gladly present that to numerous individuals here in the US and the EU about the importance of TRIZ and its value to help avoid such issues in the future, as well what it means to be a real innovation manager, because we also manage risk and threats to our companies, our respective nations, and by extension our civilization and society as a whole. This is my passion Dr. Nakagawa, it is well documented, and you have seen me as well be very passionate about the correct use and application of TRIZ, when we were together back in 2006. It is clear that I am very passionate about our shared appreciation for methods like TRIZ, but I will need your assistance in being able to get that message out to others. Many thanks for this update to the THPJ. Some different, interesting and thought provoking articles to read. I did not comment on your mention last month of General methodology of creative problem-solving / task-achieving (CrePS)). There was your article which mentioned the emerging outlines of your concepts. I felt I should wait till you release further information in an upcoming article. As you may recall my mentioning to you that TRIZ, USIT, etc. are tools which to function properly require awareness of new modes of thinking in the larger context. An encompassing context that deals with other issues, technical, contemporary, managerial, philosophical, etc. With your own experience and accumulated knowledge, you are very well placed to explore these ideas and present them to the readership of the THPJ. Your inclusion of related articles by Len Kaplan, the Fukushima mishap, and earlier by Mr. Toshio Takahara, is a positive thing. They may not be 100% TRIZ oriented, but they do provide a spur to our thinking. In addition to such related articles, may I suggest something else for your consideration. Comments by some of the many Japanese and International personalities you have interacted with over the many years. Subjects could range from technical, to managerial, to innovation, new technology, work ethics, changing mindsets of the newer generation, and so many more. My feeling is that the essence and distillation of an accomplished person's thinking towards the latter part of one's life, when most of the living has been done, is of fundamental value and importance for those who are following in their footsteps. Or, at least along a similar path. Just two or three paragraphs, or at most a page or two of thoughts on what was important, and what was not. What makes a difference in the final analysis, What sort of thinking traits are useful to develop and which should be discarded. I do not know if there is such a book of collective wisdom available in Japan, I feel there must be. But I am not so sure about collective technological / management related wisdom, especially as it pertains to innovation. You may find that this aspect is worth a thought. Thanks Mr. Nakagawa for attaching your beautiful photos. You look very handsome even at this age. I love your photos a lot.